Episode Summary: A lot of AI in the press is CMOs or marketing people talking about what a company can do in a way that really is aspirational. They’re speaking about what they can do, but in reality, the things that they’re talking about, the capabilities won’t be unlocked for maybe a year or more. These are just things on the technology road map, but people speak about them like they exist now. This week, we speak with Abinash Tripathy, founder and Chief Strategy Officer at Helpshift. They’ve raised upwards of $40,000,000 in the last six years to apply artificial intelligence to the future of customer service, and we speak about the hard challenges of chatbots and conversational interfaces, as well as how long it’s going to be until those are actually robust. This in opposition to how people at large companies might put out a press release touting their own chatbots that simply aren’t capable of doing what they say they can to any meaningful degree. We also talk about where AI can augment and make a difference in existing customer service workflows. Even if we can’t have all-capable chatbots to handle banking or insurance or eCommerce questions from people, where can AI easily slide it’s way in and actually make a difference today? In this episode, we draw a firm line on where the technology currently stands. Business leaders interested in this topic will want to read our comprehensive executive guide on the AI advantage of the tech giants. Brief Recognition: Prior to founding Helpshift, Tripathy was an advisor for Postman AP Tools and the Managing Director for Zimpra APAC at Yahoo. (05:00) What’s capable right now in terms of AI in customer service? Abinash Tripathy: The kind of problems that it’s really able to solve well in…customer service operations is things like the classification of an incoming conversation and extraction of intents and using that to route a conversation through the right bot or an agent. But we’ll come back to the bot topic. There’s so much hype around bots and the way bots are implemented, they don’t really work because most of the bots that you see, the first generation bots that went out, were conversational bots that were supposed to pass a hearing test and they cannot sustain any form of long back and forth. They’re just not ideal, so we’ll part that discussion and come back to that. I think one of the big problems in customer service today is that customers come in, they want help with the certain topic and they need to be connected to the right individual who’s skilled, who’s available, and there is a lot of intelligence around just routing to the right person so the person at the other end can get served well. AI is very good at doing classification. An extraction of intent based on just sort of a few sentences or a few words. But it’s not good at maintaining a sustained conversation the way you and I are communicating right now, and that’s where it all falls apart where people are trying to apply it to replace a human and try to sustain a long, drawn-out conversation. Once the classification can happen with AI, it has extracted sort of the intent that the core intent that the customer has, then the company can apply those intents to knowledge assets which are locked away in sort of content management systems, FAQs, help centers. There’s a whole bunch of curated content that a company publishes that are knowledge articles and sometimes customers won’t read them. So matching that and presenting that to the user without them having to go and ask a human or dig around in a help center is also a solved problem in the customer service industry now and it’s actually yielding a lot of results because 80% of the questions that are coming to customers is a very simple questions that can be answered through a knowledge asset and if you can do that very effectively, you’re basically blocking that from being a human ticket or a ticket that has your case that has to be handled by a human being. (08:30) Can you talk a little bit about how that works? AT: The knowledge in customer service is typically locked in a help center, which is available on the company’s website. The help center typically has a bunch of FAQ questions and it’s presented to the user through a portal. Most customers don’t go there first. It’s easier, people just don’t want to ask a question because it’s easier. So basically these FAQs or these knowledge portals are so hard to use that it’s easier for someone to ask a question. So people go ask these questions and the way the current customer service industry is set up is that any question that a customer asks goes directly to a human and it creates work for human beings and it creates all kinds of experience problems because once something is routed to a human, it’s going to take time. The human’s not going to be available to answer right away. They’re gonna be busy with other things and they’ll eventually get to it and by that time the customer’s frustrated that it was such a slow process and so where AI can help, it matches the content in an available sort of public knowledge base and is able to present that as a response, as a suggested response, to the question and customers, once they read that, they’re like, okay, this answers my question. They go away. If it doesn’t, they can escalate that to a human agent. So these are very solved problems today. [Customer service representatives] are given scripts, and these scripts are if you’re faced this scenario, ask these questions. They respond with these sorts of answers and yes you are right, they basically are dipping into a database or a knowledge asset, like the company’s internal FAQ or even the public FAQ, copying snippets and responding to customers with those snippets. So you’re right there. 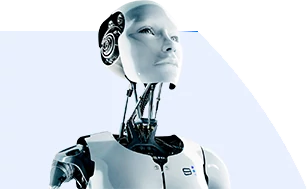 Now the way AI’s basically changing that and the way we have sort of implemented our solution is that basically, you said that you need a lot of data and maybe all the transcripts from the past to train the AI, that is not really needed. If you have gone about building an AI that doesn’t have that much of the core start problem. One of the problems with AI today is the core start problem, how do I train the AI, and how does it have enough data so the accuracy and the precision and the lead call are high? So the core start is a big problem, but there’s a lot of advances that have happened recently in the field of NLP or financial image processing and there are specific algorithms that when used creatively can actually classify with high confidence, with very little data. So just to give you an example, our classification engine that basically extracts intent off an incoming question leverages two statistical models and one sort of shallow learning, I won’t call it deep learning model. The minute you say deep learning, you need lots of data. Shallow learning where your network is one layer deep doesn’t need a lot of data and it can build a model based on sparse data. So we use an ensemble of these three algorithms and for a single intent, we require only 100 examples. So if you’re able to provide the machine learning engine, 100 examples per label, you’re good to go and you get to a fairly high level of accuracy right out of the box. We could have run this entire model unsupervised and still got accuracy levels in the 80% range because the model that we’re using, the NLP algorithm that we’re using work fairly well and it’s an NLP based match and all that we’re doing with these 100 examples is fine-tuning the NLP model to understand vocabulary that’s specific to that customer or to that domain. So AI’s come to a point of maturity where the core start problem is not, specifically for text-based NLP, it’s not that big of a problem. If you’re doing things like image recognition, yes. So from a customer’s open ended question, a key intent they’re trying to solve and just create a label for that. So it’s a very simple use of AI. So we’re not boiling the ocean, we’re not building this NLP based bot that can [crosstalk 00:16:39]. Yeah, that does not work. It’s not gonna work. Until you’re seeing accuracy levels in the 30 to 40% range. (17:00) What do you think is gonna get us over these hurdles? AT: I think time. Time is the bridge and patience. So if you take practical companies like Amazon, they probably have the most NLP assets in the world. The Lex team that’s building the Lex platform for Alexa has the most number of PHDs in the NLP field working on solving sort of the natural language, understanding natural language reasoning, natural language generation, these are all sub-fused of NLP that are still in very research kind of phases. They’re on the problem. You see companies like Google, they’re also on the problem. They have a lot of researchers who are basically trying to solve this problem, but it’s gonna take time. It’s just not there today, and so you take a practical company like Amazon, they’ve been very, very careful that they’ve got this Lex platform. They use Lex to power Alexa, and they’ve built these consumer devices that people can use in their homes with very limited use cases, like playing music or turning off or on the lights, very simple command-based vocabulary. It’s sort of working there. You can train a skill for Alexa and it sort of works. Now where Amazon has been really careful is they’ve not deployed any of this technology in their customer service chat. So if you really look at their customer service channels, whether it’s the phone channel or whether it is the chat experience that Amazon provides in their mobile app, they’re just not gone there because they know that the technology’s not ready. The worst thing you want is an Apple Maps or a City Life experience where Apple launched a product before it was ready, technically, and customers, even though the product’s improved, it’s been three years or four years since that product was launched and it’s improved a lot. It’s caught up with Google. People don’t use Apple, they don’t trust it because it didn’t work the first time. The same thing happened with Siri. Siri is on everybody’s phone and it still doesn’t work and people use it for very simple things and it’s not something that can sustain the promise that you can talk to this virtual assistant and it can do anything for. It is just not; it has not happened. It’s not been realized. So we have to be very careful. Basically what it’s gonna take is time. A lot of problems have to be solved. A lot of researchers have to work on these hard problems and it’s gonna be substantial amount of time. I don’t think it’s gonna be solved in the next five years. The way we solved a problem is that we’ve created a bot platform that is much simpler than a conversational bot. Our bot platform is what I would call a, it’s like a button bot where you can build a decision tree that asks a set of questions and you’re sort of giving it open-ended text responses, we allow the user to pick from buttons or option lists and use that to drive them through a decision tree and provide answers. Amazon does exactly the same thing. If you go look at Amazon’s customer service chat experience and the bot that they’ve deployed there, their bot doesn’t try to understand what you’re trying to say in words. It’s presenting you a menu-driven sort of experience inside a messaging experience where you can navigate to a resolution path. So we think today those are working really well and at some point, the conversational bot technology will get to the point where the accuracy levels are very high and then we can shift from the sort of decision tree bots to a more human-like conversational bot. NLP lab is doing a ton of work. The deep learning folks in the Canada, Toronto area, Pittsburgh area, there’s huge hubs of research. London, England. Boston, Massachusetts. These are all the hubs where the PHDs are hanging out trying to solve the really complex problems. Most of them are in academia but right now AI is so hot that industry is hiding a bunch of academicians and giving them sort of 50/50 roles where they can do 50% academic work, 50% industry work, and so there’s a lot of flexibility being offered to AI researchers. What I really like is that the way the tech industry’s gone about this whole AI shift is that in sort of going and hiding those resources full-time and capturing them into tactical projects in these companies. The Googles and Facebooks of the world have allowed academics to be able to participate in academia and do research and work on real-world problems at the same time. I think that’s going to basically drive a lot of innovation in the next few years and we will get to a point where conversational bots using text will probably be solved much sooner than voice. Voice is much harder. Speech recognition has been around for decades now, and it hasn’t even gotten to the point where a few companies have deployed speech recognition in their phone based customer service. Most of it doesn’t work so most companies have given up on speech recognition and they don’t use it in the customer service scenario because most of the time it ends up frustrating customers because they really can’t get, they’re stuck in sort of these conversations loops with these speech platforms and they’re not perfect. So yeah, I think speech recognition and voice has long ways to go. We saw some cool demos from Google with Duplex and that was pretty cool. One of the big problems with these deep learning models is the amount of compute and the amount of data you need and both Amazon and Google have both. They have data because they’re on very large consumer services that generates a ton of data. Amazon’s call center’s one of the largest in the world. So they have hours and hours of voice recording. Google rolled out three voice services called Hangout and they have tons of voice recordings. So they both have data and they both compute. They’re able to solve the problem for themselves. If other brands and companies don’t have the data, have the compute trying to solve it, they’re just not going to be able to. Whatever breakthroughs they have in the science world, right, so the researchers crack the code on let’s say conversational text-based conversational AI. They will quickly turn around, throw it on their cloud platforms whether it’s AWS or Google Cloud and open it up to the world of small companies to take advantage of, or brands to take advantage of. So I think where we’re going to see a lot of the AI breakthroughs come is from sort of the labs that are now working with these large consumer companies like Amazon and Google, and they will democratize it so quickly because to them they will take these innovations and just sell them as a service. There will be breakthrough innovation that startups do but it’ll be mostly in the use of AI, not in the core algorithms. Startups will mostly figure out how to use the breakthroughs to solve specific vertical problems, but my read on the market is that the major breakthroughs will only come from the larger consumer companies because they have the data, they have the compute, they have the resources in terms of researchers, and to solve all the AI problems, that’s what you need, and startups just don’t have the resources, they don’t have the compute. It’s too expensive. They don’t have the dataset and even companies like IBM, they’ve been struggling because they don’t have any sort of consumer [data]. Rumor has that data wins, and so IBM unfortunately put themselves in a position where they didn’t move to the cloud, they didn’t launch any consumer service, so they don’t have the volume of data that a Google or an Amazon or an Apple or a Microsoft has. Even Microsoft, if you think about it, is a consumer company. They’ve got products that are consumer-oriented. They’ve got Skype; they’ve got hours and hours of recordings on Skype. They’ve got the data that they can apply into their data science. IBM, unfortunately, became an island because they did not build any consumer products. They didn’t build any cloud products. They have no access to data. They are mostly an on-prem solution working on little islands. That doesn’t help their data science mission. (30:00) I think the people tuned in need to listen. I think a lot of people think if we can get a couple data scientists, we can maybe solve ‘X’ problem. But if you think about it, if Google hasn’t solved that problem, you’re not solving that problem. AT:If you really look at AI, there’s core AI, which is the algorithms that solve specific problems and the math and the stats and the science behind it. Then there’s upright AI, which is how do you take all of these algorithms and build or solve some real-world problems? So what I’m eluding to is that the Amazons and the Googles and the Microsofts and the Apples of the world will basically solve the science part of AI. They will be the big winners in algorithms because they have the resources, which is human researchers, the compute and the data that goes to all the science part of AI. Now what startups will do, like us, they will basically take all of these algorithms that get pumped out and figure out how to apply them to specific business cases, so it’s the application of AI. So I call it applied AI. So most of the startups that you will see emerge will be just applied AI companies. They won’t be core AI companies. (33:00) Is it safe to assume that enterprises aren’t going to be innovating on the hard science either? I know they have more resources than startups. AT: I think you’re on the right path. Basically what’ll happen is that specific industries like telecoms, like pharma, they have lots of data so they own the data. But they don’t have a culture of hiring scientists. Especially computer scientists and researchers to go and solve AI problems and they’re probably going to succeed by taking platforms like Googles and Amazon where the algorithms are getting created every day and applying them to their data. So that’s the shift that’ll happen. So telecom companies, pharmas, anybody that has lots of data will use sort of these commercial clouds that are out there. The AI clouds. The Amazon and the Google clouds, and then use those algorithms to solve specific problems. Very few will be able to go innovate and go create their own sort of algorithms. So that’s just the way I see the world going. Episode Summary: This episode explores the ways in which artificial intelligence has the potential to revolutionize the field of medicine. This week's guest, Turbine.ai's Dr. Kristóf Zsolt Szalay speaks to this topic, discussing research that hopes to create automated learning networks and algorithms designed to predict the development of human cells in response to drugs. This technological innovation would make it possible for near-instantaneous simulations to be run, allowing optimal combinations and optimal doses of drugs to be pinpointed and distributed to patients.